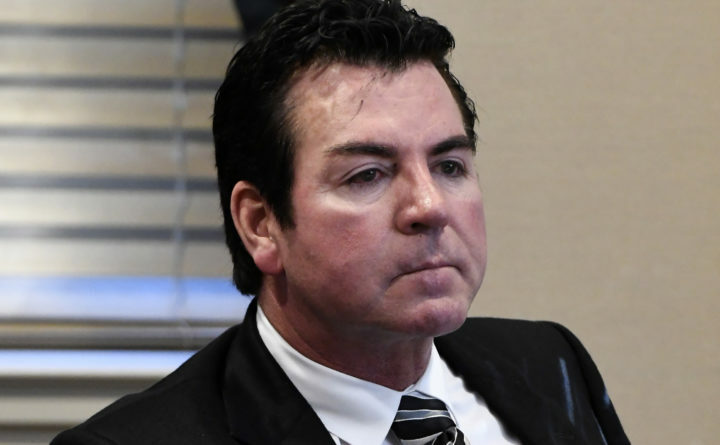 In this Wednesday, Oct. 18, 2017, file photo, Papa John's founder and CEO John Schnatter attends a meeting in Louisville, Ky. Schnatter is apologizing after reportedly using a racial slur during a conference call in May 2018. The apology Wednesday, July 11, 2018, comes after Forbes cited an anonymous source saying the pizza chain's marketing firm broke ties with the company afterward. NEW YORK — Papa John’s founder John Schnatter has resigned as chairman of the board.